Imagine you wanted a new bathroom, what’s the first thing you would do? That’s right – you would take out all the old fittings. Well that is what we do using NLP Life Coaching techniques. We help you to resolve all those horrible past issues and emotions quickly and easily, so you can reach your true potential and live a fabulous life. We show you how to plan, set your goals and get rid of everything that is holding you back so you can design the life you want to have. We teach you the, now well researched, ‘Principles For Success’ so that you can achieve your goals faster and with less effort. 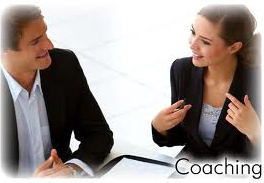 What can NLP Life Coaching help you with? There are so many different issues that NLP Life Coaching techniques can help you with. This is a very fast process, for example, a phobia normally takes less than an hour. Anger management issues can take between one to two hours. A personal break-through session covering all aspects of life can take 5 to 6 hours. So it is really quick and the changes are amazing.